Love me some Christmas, I do! Doesn't matter to me what time of the year it is. 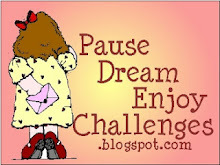 Being down in Florida, it is so hot that doing a theme of Christmas in July kind of cools me off a little. 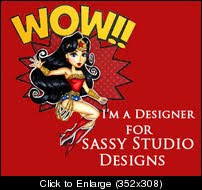 That's our theme this week for the Dare To Be Sassy Thursday for Sassy Studio Designs. 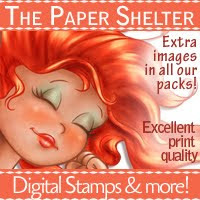 I love it because you can do some different takes on the colors. I decided to go with some lighter colors, pinks and greens! Angels spray. The gems are from Studio G and the ribbon is from my stash. Here's a close up of her. Don't you think she's just so pretty? Here's a pretty good view of the snowflakes. 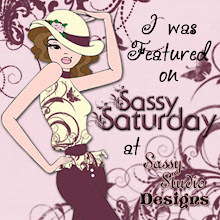 Don't forget to blog on over to our Sassy Studio Designs Party Blog and pick up the new freebie that's being offered today and tomorrow before it finds its way into the Sassy Studio Designs Store on Saturday morning! You know how I'd hate it if you missed the opportunity to pick it up! 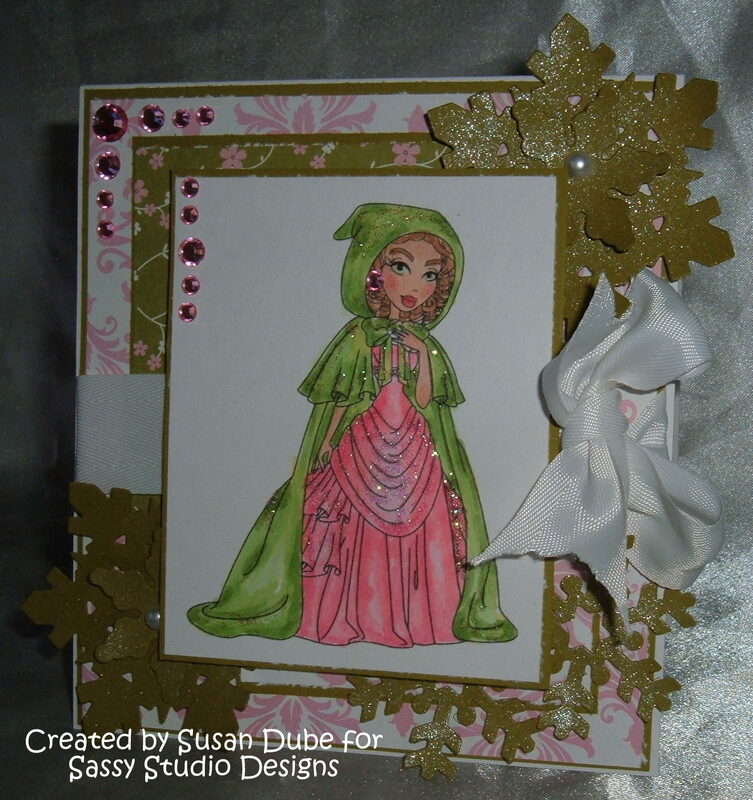 Make sure to stop over to our Sassy Studio Designs blog and see the other fun and fabulous creations my fellow designing buddies have come up with for you. All we need now is a little bit of eggnog! Happy Christmas in July everyone! Hey Sparkle Sister Susan! I love this creation. She shines so beautifully and love the non-traditional colors you used. Great added bling too. So pretty! 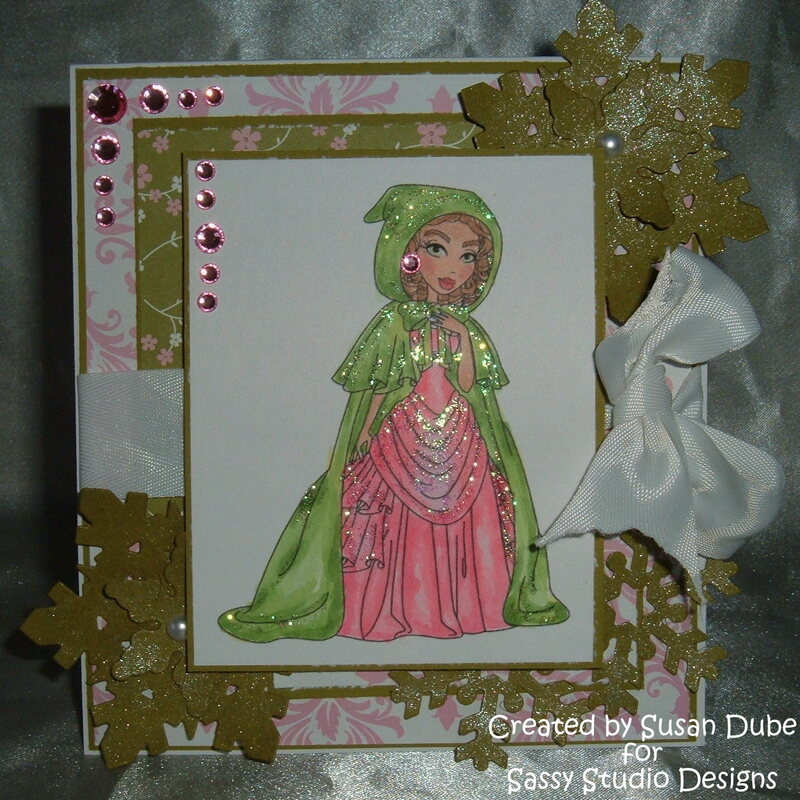 Love the colors, the coloring and all that glitz! She is fabulous! 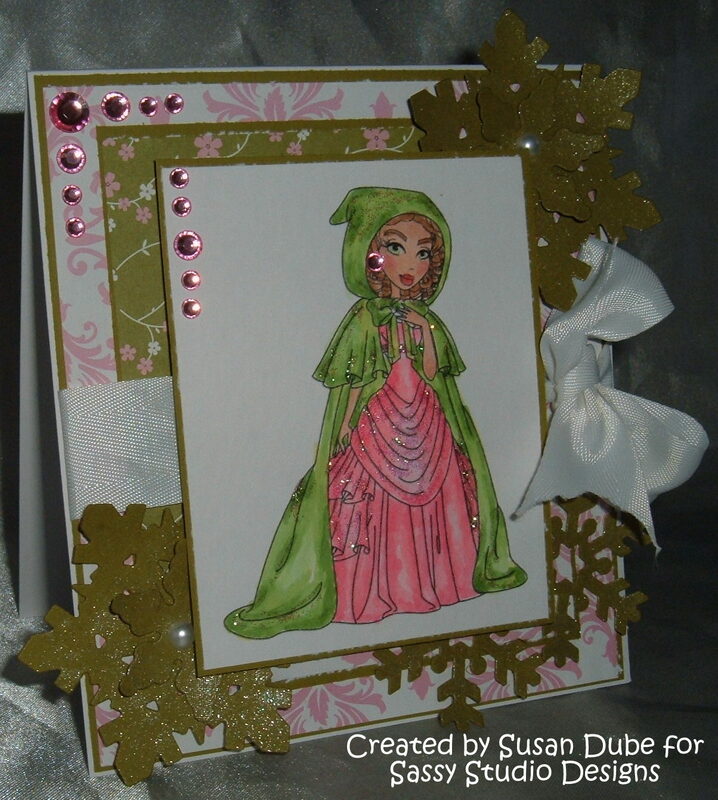 Oh my, such a pretty sparkly card! 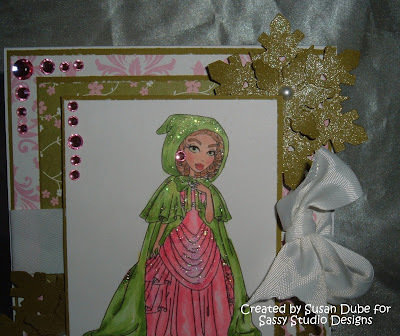 Love the blings and the snowflakes! SOOOOOO beautiful, I LOVE all the sparkle!!!! Beautiful! 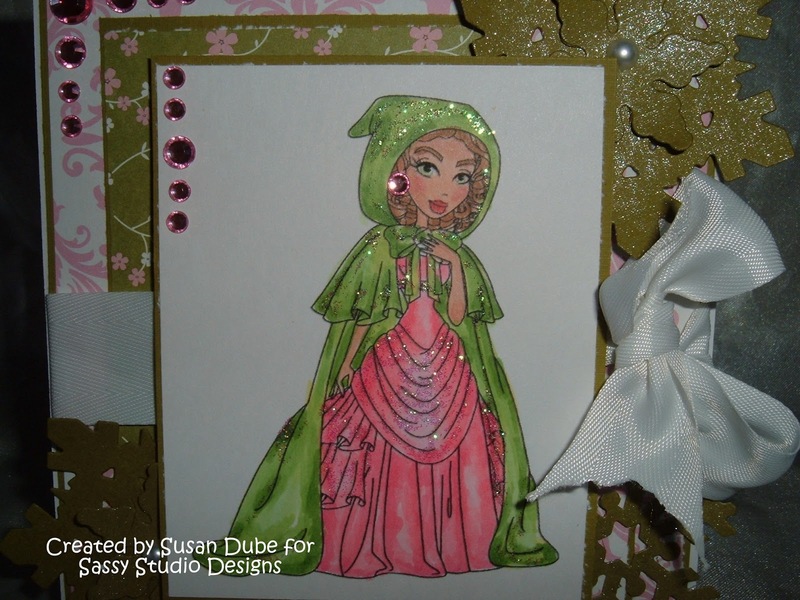 I love the contrasting colors you used on the dress and cape... and the sparkly embellishments really set everything off right. A Glorious Day, It's Allie's Birthday!